Curious person and free-thinker are preferred. We want you to grow when you join our team. 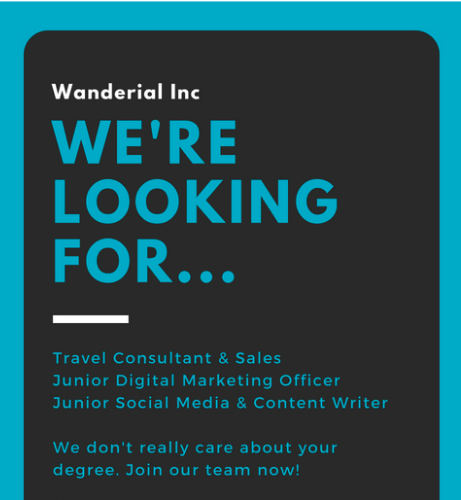 Description Wanderial is a curated marketplace for a trip organizer. We’re an early stage startup with curious and tribe like company culture with a casual attitude, performance-based accountability, and data-driven decision-making process. We’re starting small, but we have the vision to be a leading tourism tech solution company in Southeast Asia. Join us and experience how it’s like to build a product from scratch.